The Roopkund lake, Skeleton Lake of India, is a high altitude (16,000 ft above sea level) glacial lake in Loharjung, in the Chamoli district of Uttarakhand. It has been a hot topic among scientists over the years. History says that a lot of traditional myths are suppressed beneath it. As the story goes, a large number of human bones, around 500 skeletons are found inside and around the lake. 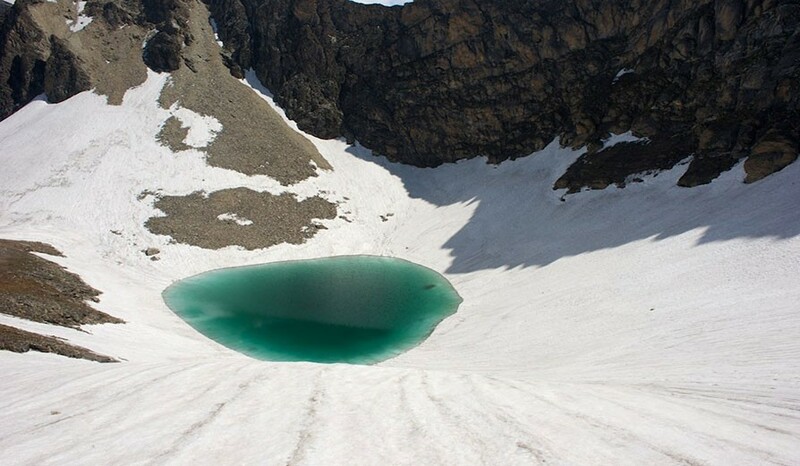 The discovery of Roopkund Lake moved eyeballs in amazement with its mysterious twists and now, it is one of the mysterious and most-visited travel destinations in India. Many visitors have tried to unravel this mystery but nothing was determined. As per a study in 2013, scientists concluded that the skeletons of about 200 people belonged to the 9th century Indian tribesmen who died due to a heavy hailstorm. The Roopkund trek trail leads to the frozen Roopkund Lake surrounded by Trishul and Nandi Peak. Hence, the alluring Roopkund lake is worth a visit for heart pounding views.Once you reach this lake, you will get a splendid view of the Roopkund glacier, Nanda ghunti, Choukamba peak and Trishul peak. This is an idyllic trek that surpasses dense thickets, charming lakes and widespread grasslands. The Roopkund Lake is only two meters deep and the skeletons appear on the lake, once the ice melts. As per the Hindu mythology, Lord Shiva and Goddess Parvati on their way to Kailash after destruction of the demons, Goddess Parvati wanted to clear herself so Lord Shiva formed a lake using his Trishul.When Goddess Parvati saw her reflection in the lake, she was beguiled by it and therefore, it was named “Roopkund” – Roop means “Form” and Kund means “Lake”. 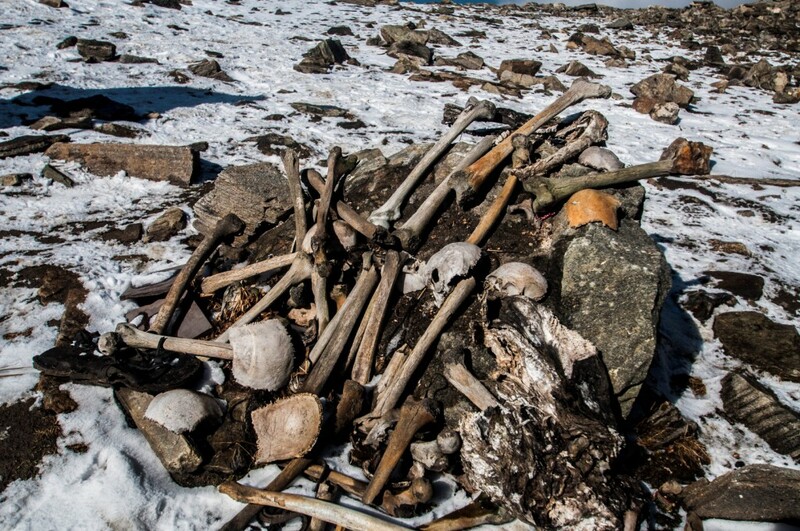 A chapter of the mysteries of the Roopkund Lake says that the skeletons belong to the Japanese soldiers who traveled to India during World War I were killed due to extreme weather conditions. It is also said that a king named “Jasdhawal” was on his way to the pilgrimage Nanda Devi to pay respect to the Goddess on the occasion of birth of his child. He carried a noisy troupe along with him and annoyed by all the chaos, the Goddess slayed all of them including the king, his wife and the unborn child. Researchers not only found skeletons but leather clothing’s, slippers and iron spearheads as well. 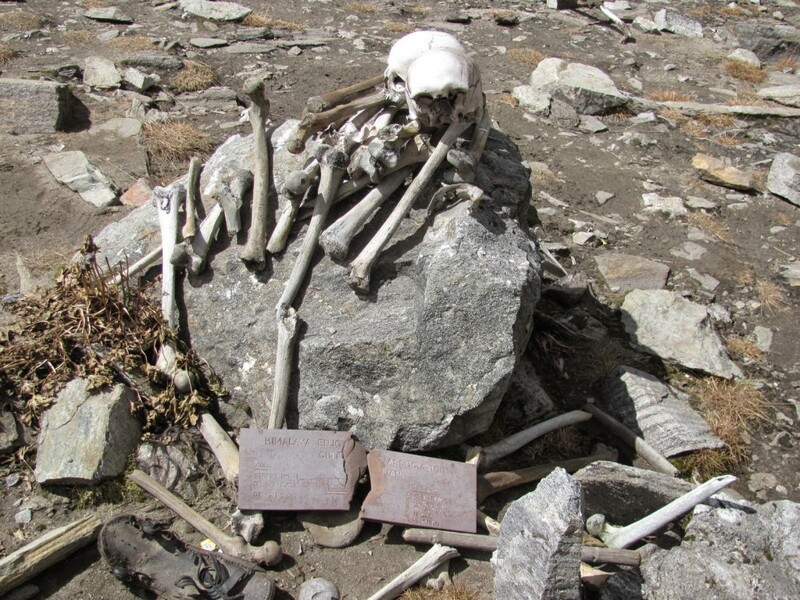 The conservation of the Roopkund Lake is the need of the hour as the visitors tend to carry away parts of the skeletons as a memoir of the visit. Best time to visit Roopkund Lake? The ideal time to travel to Roopkund Lake is the end of May to June and September to October. You should carry along a local or two during your trek to the Roopkund Lake. Avoid visiting in the month of May and November due to heavy snowfall conditions. The Roopkund Lake cannot be reached via vehicle. You need to board a flight to Indira Gandhi International Airport, New Delhi. From there, you need to board a train to Kathgodam. Upon reaching Kathgodam, you will get ample transport options to reach Loharjung. This is where the trek to the Roopkund lake with a span of 34 kms begins. With an adventurous trek of steepy and slippery climbs, the Roopkund Trek will end once you reach the Roopkund lake. 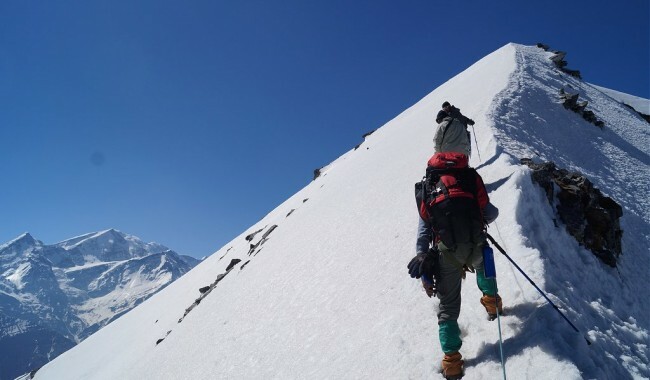 It is advised that the Roopkund trek should be done only if you are an experienced trekker so that you can cope up with unpredictable challenges better. Roopkund Lake is a mesmerizing frozen lake that adds to the natural charms of the Himalayan region. However, it arises a number of mysteries associated with it. After many researches, the scientists have come out with a conclusion but you never know, how true it is. Hence, the real secret of the Roopkund Lake still remains unsolved. Coming back to its scenic beauty and enchanted ambiance, the Roopkund trek trail is a perfect challenge for trekking enthusiasts that is definitely going to give you goosebumps.